Our delicious school meals are available to order on a daily basis. Click here to view our tasty vegan menu. We also sell nutritious and tasty tuck treats each break. If you have any questions or have any special dietary requirements please let us know as we can tailor our menu to meet your needs. Meals cost £2.00 each and should be paid for in advance either on line via Sims Agora (see link below) or by cheque or cash. Quick. Safe. Convenient. SIMS Agora gives you a more convenient and flexible way to pay your school online. By making cashless payments you know that your money has reached the school safely. To register for SIMS Agora contact the school for a unique code. Monty's Diner provides hot, healthy and balanced meals for our children every day. Visit our School Meals page for further information and to view the delicious menus. Alternatively click on the links below to access fantastic packed lunch information, menus and ideas from the Children's Food Trust. Home-made tasty nutritious snacks will be available to purchase every break time. 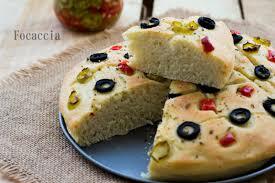 Our product range includes focaccia bread sticks, teacakes, pizza whirls, fruity flapjack, fresh fruit and drinks. Prices range from 10p to 30p per item.